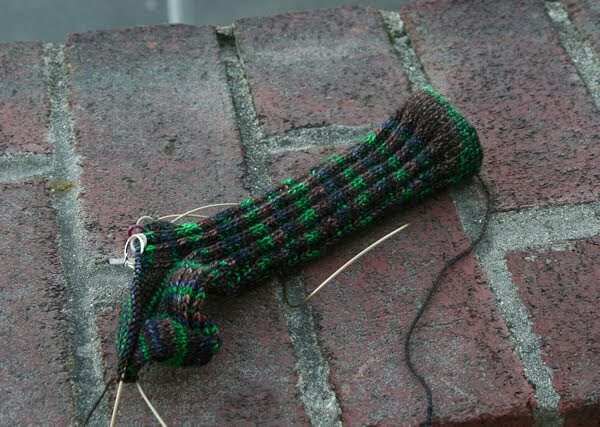 Ages ago I promised you pics of my two socks in progress. One stalled after being ripped and re-started a number of times to deal with pooling issues, but finally I set that one aside to concentrate on the one that was going more smoothly. But I never got around to posting that early progress shot, and now look where I am. 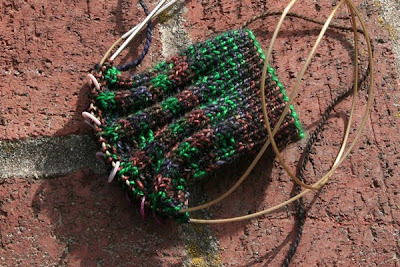 At first I tried to find a pattern from Knitting Socks with Handpainted Yarn, in which there are many patterns designed explicitly for yarns that tend to pool. 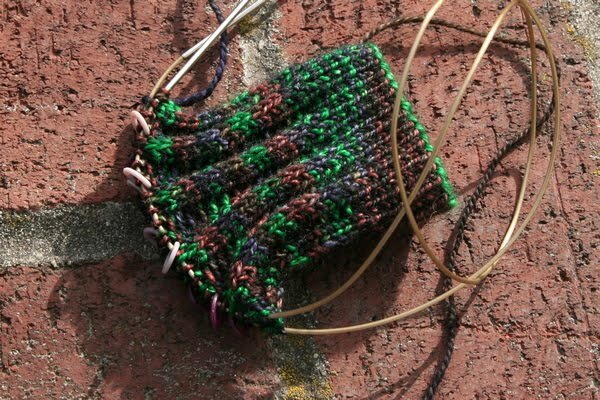 Although there are many beautiful patterns in that book, none of them were exactly what I wanted for this particular yarn. In the end, I turned to my old standby, Sensational Knitted Socks by Charlene Schurch, and chose the slip-stitch rib pattern, one that I have long admired and was happy to finally knit.